L'Hotel Acapulco propose une piscine et un bain à remous extérieurs. 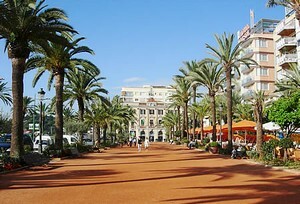 À 500 mètres du centre-ville animé et de la plage de Lloret de Mar, il vous accueille à 5 minutes de marche de la gare routière. Toutes les chambres climatisées de l'Acapulco comportent un balcon privé. Elles sont par ailleurs chauffées et dotées d'une télévision par satellite ainsi que d'un bureau. Chaque salle de bains privative comprend des articles de toilette. La réception pourra vous remettre gratuitement un sèche-cheveux. L'Hotel Acapulco accueille un bar et un restaurant-buffet qui présente une sélection de plats régionaux et internationaux. Vous profiterez d'un jardin, d'une terrasse bien exposée, d'un espace Internet, d'une salle de jeux et de 2 salons avec télévision par satellite. L'hôtel abrite une réception ouverte 24h/24, une boutique de souvenirs et un distributeur automatique de billets. Vous bénéficierez d'une connexion Wi-Fi gratuite dans les parties communes et dans votre hébergement en supplément. Le parking privé est payant. Des services de location de voitures et de vélos sont aussi assurés. Cet établissement est entièrement adapté aux personnes à mobilité réduite, y compris aux utilisateurs de fauteuils roulants. No es un cuatro estrellas ni de broma, colchones plastificados, cuarto de baño enano, mucho ruido por la noche, desayuno con muy poca variedad, no volveria mas. Hôtel placé au coeur de la ville. Des efforts d'animation de soirées dans l'hôtel. Salle de restaurant très bruyante, parking,certes à tarif préférenciel, mais un peu loin et d'une organisation un peu compliquée! No on site parking. Our car got hit in a public car park. Quizás el tema de variedad sea un poco escaso en el tema de la comida pero mirando la relación precio creo es aceptable. 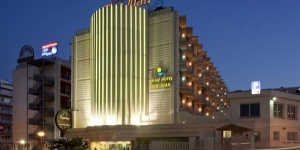 From the moment we made our bookings, all communications with the Hotel was superb. They arranged that we could have early access into the Hotel, the day we arrived and made sure we had food. All staff were pleasant, helpful and could not do enough to make your stay enjoyable. We were half board and enjoyed an array of Spanish and English food in the restaurant. The dinners were lovely and abundant. Centrally located, you can stroll to the beach where there are amazing hilly coastal walks. Or alternatively there were plenty of bars, tavernas and shops on your doorstep. 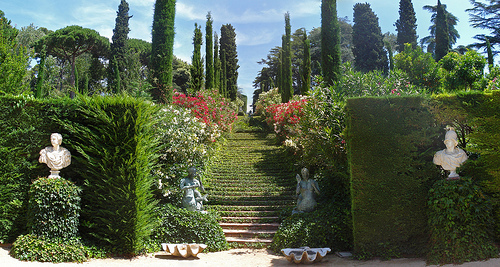 Ideal location for day trips to Girona (beautiful) and the wonderful City of Barcelona. The hotel has a pool and loungers outside, which proved to be quite a suntrap. The Hotel offered entertainment several times a week and we enjoyed local dancing and music. Staff are equipped with local knowledge and there is also an automated machine in the foyer, which gives you tourist information and discount vouchers. All in all avery enjoyable stay and lovely atmosphere. The beds were a little hard for us, as I suffer with my back. Apart from that, nothing! Biglietto di cortesia in lingua Italiana all'interno della camera, molto gradito. Ottima la posizione, ottimo il rapporto qualità prezzo, cortesia ed attenzione da parte dello staff. Metre e barmans simpatici.Consigliatissimo. todo el personal,la limpieza,el confort,la cercania del centro. Labai draugiskas ir malonus personalas. Netoli centro, visai salia autobusu stotis. Maistas puikus, visada svezias ir ivairus. Idomi programa vakarais. Příjemný hotel v rušné části města. Má vše co má mít. Příjemný a ochotný personál, hezké pokoje a útulné zázemí. Zařízení, provedení a strava odpovídá hotelu 3+. Vzhledem k ceně není však na závadu. Hotel má tenké stěny a je vše slyšet. Die Freundlichkeit und multilingualität am Empfang. Das allgemein freundliche Personal und die gute Lage. Hotel Breakfast was very good. It is not far away from hotel to the party road and the beach. Hotel is very nice. Free Wifi! Good Sangria! In October the most Clubs are closed! On the Street very nerved salespersons. On the Beach only stones. liked everything! The service is outstanding. Linen, towels, cleaning every day. A restaurant, a bar just fine. The pool, although we did not swim. The staff is polite, even if you do not speak Russian are trying to explain that you understand. A wonderful town, a wonderful hotel! It's very nice hotel with tremendous multilingual personnel. Good value for money. Excellent location just in 500 metres from the beach. Very tasty dinners with various fish and meat dishes. Nice swimming pool and summer terrace. I like this place. It's a bit noisy in night time even in beginning of October - night clubs and disco/attractions are located just at the next door. it's nice place for young people to have cool party/afterparty, and it's complicated for families with young children to be nearby. I would like also to have more various breakfast in addition to very good dinners. Staff absolutely brilliant Great entertainment and shows Comfortable superior rooms. Lack of atmosphere, could allow for more music in the evening such as in the surrounding hotels. The shuttle the hotel offers was very bad!!! we waited 2 hours in the airport before we left for the hotel. The reservation for a double bed was not made. There was loud music from a club next door till 5 in the morning Some of the staff was not nice and unhelpfull. The food sometimes not enough variety at breakfast. The doors did not have soft closers so door slamming was a problem. Food was great. Staff was very helpful and polite. The position of the hotel is very good. 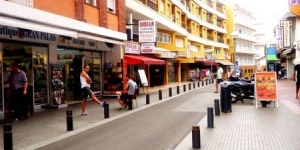 3 minutes walk to the beach, 1 minute to the bus station and it situated down town close to nightlife and shops. The room was very clean and nice. The pool garden is really the only thing I can be negative about. It is very small. The staff were very efficient and friendly. The place was clean, rooms cleaned every day with fresh towels. The food was definitely not the best. We went F/B but didn't eat there the whole time. went to local restaurants. Too noisy, rooms are small and there's no fridge. Parking place is not that close and is expensive. This is not a 4 star hotel!! - staff is not welcoming at all, the two guards are walking in the hotel like bulldogs and watching at you as a prisoner. - You can not have right to bring your friend in your room during the stay even on one hour. Food is very tasty, various, it was a good chance to taste a spanish kitchen. 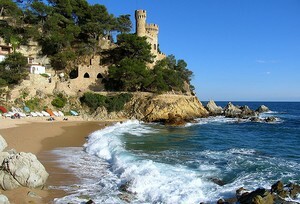 Hotel is quite near bus station and Lloret beach, so location is excellent. Staff speaks on all main european languages, on reception was a russian-speaking woman. There were no purdah in the shower, so there was water on the floor. Everything was great, i recommended it, big room, clean and with nice balcony. Very good breakfast. Position also good, close to the bus station, and close to the beach. We enjoyed our stay here. Good location. 10 min walk from the beach. The breakfast was good. Staff was awesome. It was loud, really loud. Don't come here expecting to relax. Our beds/pillows weren't exactly the most comfortable. Pay extra for fridge/lock box. I had room close to emergency stairs that was very noisy, when used, especially in nights. And plenty of noisy neighbors,... 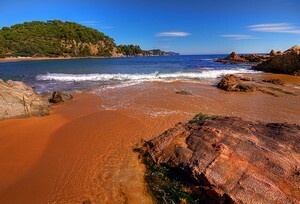 Crowded beach. Problem with parking for cars. The Hotel staff failed in their duty to make sure our noisey neighbours were not told off or even moved. We had a 3 nights stay and for 2 of them we had no sleep at all.We complained several times and nothing was done. It totally destroyed our short break. We were offered to be moved on our day of leaving,we told the staff that we were leaving,there was no offer of any compansation!!!! Totally in adequate staff and definatley not a family friendly hotel.Shocking!!!!! Pool is small, Food are not good. This is like a 2** Hotel. - The rooms were clean - The location of the hotel was good. - The food was ok.
- It didn't look like a 4 star hotel. The rooms didn't have refrigerator. - The mattress were really uncomfortable. - It was really hard to sleep because you can hear almost everything trough the walls and there were a lot of teenagers and they were making a lot of noise. The hotel's location. Расположение отеля. 1. There is no noise insulation.Unable to sleep because of the constant noise around and inside the hotel! 1. Отсутствует шумоизоляция. Невозможно уснуть из-за постоянного шума вокруг и в отеле! 2. In the room there is no safe, no kettle. No iron in the hotel! 2. В номере нет ни сейфа, ни чайника. Утюга нет в отеле вообще! the location...was very central.within walking distance to the beach and bus station. The food (especially for the dinner) was great, rooms were very clean and the location was absolutely great. For the price, super choice of spending your holiday. I did not like the noise in the hallway, but the noise from the outside ended always shortly after 12pm and also the balcony doors were quite noise-proof, so it was ok. And the second thing I did not like was that there were only 2 elevators for the whole hotel but not stairs (only the emergency stairs) which was quite uncomfortable to wait with 5 other people for one of the two small elevators. Couldn't connect to the wifi? Thanks to your staff. They are very friendly. It make a good mood for every day. It would be nice - to place free fridges in rooms. The hotel is not far from the beach. The food is not very varied, but tasty. 1) The hotel is said to be a 4* one, but actually it is a 3* hotel. 2) The is no safe box in the room. 3) There are just a few double rooms, so do not expect to be given one queen/king size bed (you'll get two little ones instead). 4) The hotel doesn't provide any good shows in the evening. 5) You'll hear everything that happens in the next-door rooms. 6) There's no fridge in the room (you have to pay extra to get one) 7) There's no iron in the room. I didn't like these points. But we are different. So, for somebody not having an iron will not cause any problems at all. nothing.worst hotel ever!!!!! very very far from 4 stars;in reality 2 stars. Everything was disgusting.I will delete this episode from my memories. We find strange that there was a man on reception which he had some problem with speaking. It was very difficult to understand him. Friendly staff. Clean basic room, no frills. Nice pool. Variety of basic food for breakfast and dining. Central location. Very overlooked. Very loud resort in general so you will have loud music from adjacent hotels outside until midnight. Parking expensive and a walk from the hotel. Very Clean, good location, VERY helpful receptionists, value for money, Good and delicous breakfast. Poor night entertainment next to the pool, Some staff (except receptionists) lack basic english language. The horribly unfriendly night-time staff ! They should get a job as prison guards and NOT as service oriented 4star hotel employees. Advertised 24/7 room service, but when we phoned to order something at 3am, they didn't do it. We stayed in the superior double room which was very spacious inside and on the terrace and immaculately decorated. The housekeeping staff also deserve special mention as our room was immaculately maintained through out our trip. The reception staff were also very helpful and able to help with any questions that we had. Although there was plenty of choice breakfast wise. The quality of the breakfast was relatively poor. The cooked breakfast was more or less the same same five items every day. Also the evening entertainment was basic at best apart from the flamenco on one evening. The swimming pool was also very small and most days you couldn't get near it because all the sun beds were taken before we even got down for breakfast. Breakfast was delicious. So much variety to choose from. Swimming pool excellent. Great location, everything within walking distance. Staff were friendly, but could have been a bit more enthusiastic. very good value for money. Plenty of choices for breakfast. We opted for offer of evening meal for only Eu.6.00 each, making it even better value for money. Car-park was within comfortable walking distance. The location; it was too close to the night clubs and discos. The noise of shouting revellers in the street below kept us awake until the early hours. The hotel is perhaps more suitable for young people than for people of mature years. Dinner selection was ok, the pork meat was cooked very well. They have a Flamenco night with 2 ladies. They cleaned our room daily. Very noisy, banging doors, loud hallways. Our room was in the front of the hotel, and there was a loud ride across the street. We felt like we were in the middle of an amusement park. Parking was not close and up a hill. When my husband went to get our car, the man in the garage told him that he needed to be paid. We had already paid at the hotel and had shown him the receipt for 15 euros. Way too expensive! They don't provide bar soap. The staff were friendly and smartly dressed. The food was plentiful and of good quality with a wide variety. The location is within walking distance to most places of interest like the beach, the bus station, the pubs, restaurants and discos. The beds were twin instead of double as per our request. There were only a few TV channels in English. Food was excellent and varied,everywhere was kept very clean and the staff were helpful and pleasant. I like good staff. We have first night very bad experiences, because on next door was very laud and noise. We cant sleep, but next day staff just change our room and then was OK.
Everything is wonderful. This hotel has 4 stars now! A pleasant man at reception welcomed me and guided me to my room on the 5th floor and advised I took my bike with me and put it on the balcony. It just fitted in the lift. My room was pleasant but there was considerable noise outside from the array of swimming pools and the many surrounding hotels. It was not until about midnight that the noise disappeared. In a way the hotel was quite old fashioned offering half board and so dinner and breakfast. The self service food was adequate bearing in mind my room and food was 39 euros. Good value for money and air conditioning that worked.